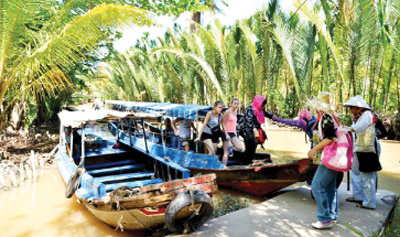 (VEN) - Although it is a key exporter of rice, seafood, and fruit, the Mekong Delta’s growth remains incommensurate with its potential. To create a boost for socioeconomic development in this region, it is necessary to facilitate its access to not only bank loans but also suitable financial policies, state budget allowances, and other investment sources. A workshop on credit for socioeconomic development in the Mekong Delta was held as part of the Mekong Delta Economic Cooperation Forum in Hau Giang Province from July 11-15. Many economists participating in the workshop shared the opinion that credit loans from banks had significantly contributed to socioeconomic development in the Mekong Delta, but to create a boost for the regional growth, accelerating its international integration process and helping to cope with climate change, it is necessary to provide the delta with access to suitable financial policies, state budget allowances, and other investment sources. 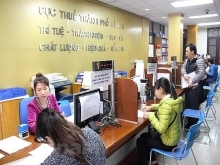 Nguyen Tien Dong, Director of the State Bank of Vietnam (SBV)’s Credit Department, said that by June 30, 2016, bank deposits coming from the Mekong Delta reached VND350.04 trillion, an increase of 9.93 percent compared with December 31, 2015, while the balance of outstanding loans for the region was estimated at VND397.99 trillion, up 3.39 percent compared with the end of 2015, and accounted for 8.2 percent of the total balance of outstanding loans for the entire economy. Agricultural loans accounted for nearly 48 percent of the total balance of outstanding loans for the region, concentrating on seafood, food, animal husbandry, fruit and vegetables. At the workshop, commercial banks signed credit contracts to provide businesses with loans totaling nearly VND28.5 trillion to invest in 73 socioeconomic development projects. Dr. Vo Tri Thanh, former Deputy Director of the Central Institute for Economic Management, said that the economy of the Mekong Delta had undergone strong changes thanks to credit loans provided by commercial banks. In his opinion, however, ministries, sectors, and the government need to make assessments of factors related to investment in the Mekong Delta, such as mechanisms that encourage non-banking financial institutions to invest in the region. In addition, it is necessary to provide the region with specific loans through suitable financial and monetary policies. Most commercial banks supported the idea of creating a green financial policy for the Mekong Delta to promote the provision of loans for large-scale sustainable projects. 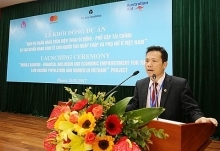 Vietnam Joint Stock Commercial Bank for Industry and Trade (VietinBank) General Director Le Duc Tho said the bank would provide solutions which help businesses promote green growth, encouraging them to use credit loans to invest in climate change mitigation and adaptation projects. On its side, VietinBank will develop modern, environmentally friendly banking services based on high technologies. Two years ago SBV provided loans to help establishing product value chains, creating production areas which cover all stages from processing to sale. Through this lending program, the bank has created more effective money flows which would create tighter linkages.